FalkeEins - the Luftwaffe blog: in-box review of the new-tool Zvezda Bf 109 F-2 in 1:72 scale - fantastic fun for frugal Friedrich fans! 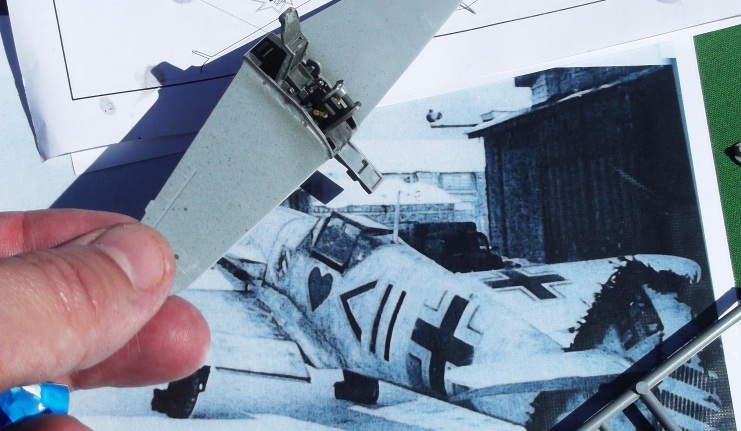 in-box review of the new-tool Zvezda Bf 109 F-2 in 1:72 scale - fantastic fun for frugal Friedrich fans! 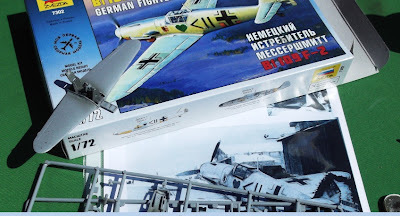 ..retailing for £7.50 in the UK this is the neat new-tool Friedrich F-2 sub-type in 1:72nd scale from Zvezda. 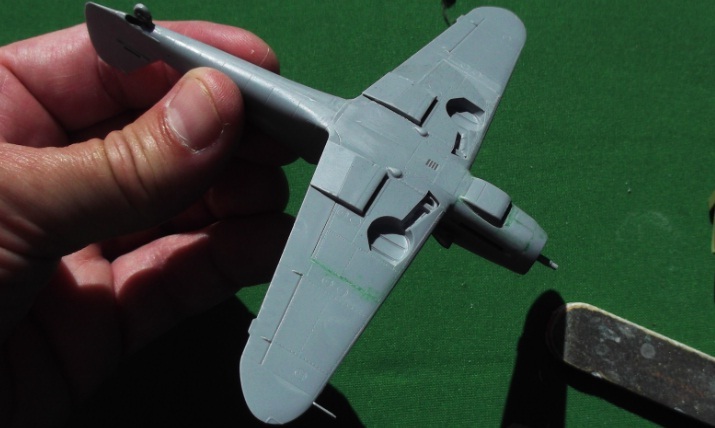 Designed like their Yak-3 - which is an excellent little kit- to be a 'snap-together' easy build, the parts are well detailed and, er, well, ..snap together! This really is a very easy and quick build. I compared it with the Fine Molds kit and the Zvezda kit easily holds it own. Just look at that cockpit - here I have painted some parts and added some etch rudder pedals before going over the cockpit again. There is some nice side wall detail, a bucket seat, a three-part pilot figure, a trim wheel and optional instrument panels - all of which just plug in. All of this is added to the top of the upper wing after the lower wing insert and the radiators have been plugged in. The acid test will no doubt be the fit of the fuselage around these parts. Zvezda have avoided the worst errors of the FM kit - the narrow oil tank aft of the prop and the low fuselage around the wing trailing edge. 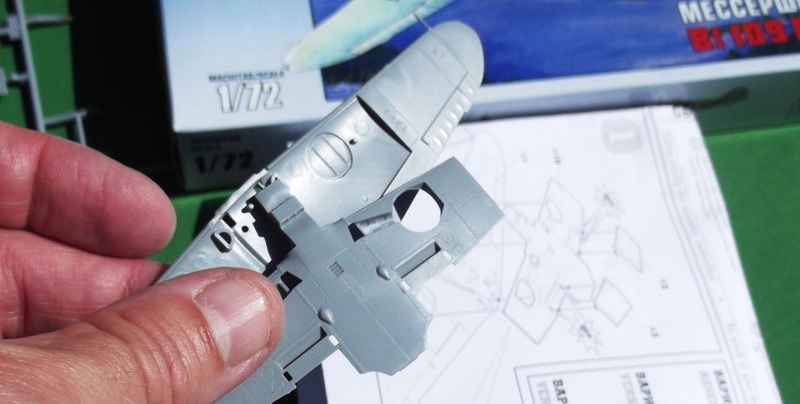 The upper wing surfaces have no panel lines on the Zvezda kit which I believe is correct for the F-2 variant, but the supercharger intake is solid and needs replacing - those Italeri Friedrich's will come in useful for something after all!.. note that one of the decal options is for Hans Philipp's F-2, Gkr I./JG 54, but I fancy something with a yellow cowl and rudder as seen here at Ander's Profile Paintshop. Catch up with more of this build on my modelling blog.. 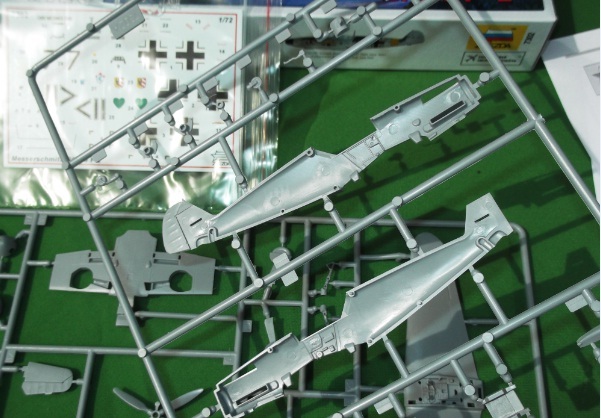 However while it may look nice on the sprues, the parts don't exactly fit together that well, to be expected for a 'snap-together' kit I guess. 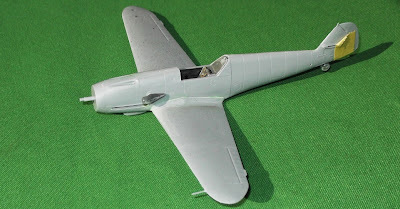 I particularly didn't like the upper cowl MG inserts and the tail fin has a large trench across the top of the empennage. The charger intake is from the Italeri kit. A little disappointingly the look of the canopy is spoilt by some great big 'snap-in' lugs - the model can easily be built and stay assembled without glue. Having said that it convinces as a 72nd scale F variant..there is certainly no need to hang on to those terrible Italeri Friedrichs.